We are delighted to announce that the Pio Cesare Barolo and Barolo Ornato 2013 have been awarded outstanding scores on James Suckling’s renowned website, JamesSuckling.com. 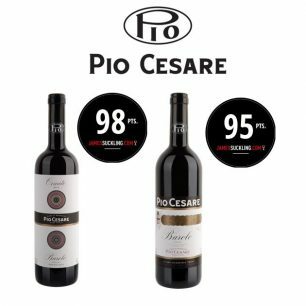 Suckling scored Pio Cesare’s “Classic” Barolo 95 Points, alongside the following tasting note: “The aromas to this are really impressive with crushed berries, dried flowers, walnuts and roses. Metamorphoses all the time. Full to medium body, characterized by a fantastic mouthfeel of ripe and round tannins that are always polished and beautiful. Magnificent harmony and purity. Drink or hold”. The single vineyard Barolo Ornato achieved an outstanding 98 Points, and was described by Suckling as: “extremely complex and showing the terroir of Serralunga with rose stems, wet earth, strawberries and mushrooms. Orange peel to boot. Full to medium body, ultra-fine tannins and bright acidity. Fascinating character…light and chewy on the finish. Expanding”. Contact Effi to find out more about these high scoring wines.